Find a STEM Camp Near You. Tech Academy (formerly Computer Explorers) of Minnesota provides research-proven technology and summer STEM day camps for kids and teens ages 4-15. We believe learning should be fun, innovative, challenging and hands-on. We host over 300 camps annually throughout Minnesota and Wisconsin. We offer 30 different classes/camps in Minecraft, Video Game Design, Programming, Engineering, Robotics, Computers and Film Making. Our State-Wide 2019 Summer Day Camp Schedule is just starting to come out! Updates daily. Coding Camps Learn Video Game Design, Java Coding, Web Design, or Mobile Game Development for Android & iOS. New classes in Minecraft, including Java Mod Development. We have coding classes for the youngest learners from age 4 that use drag and drop icons, to more advance text-based coding for teens. 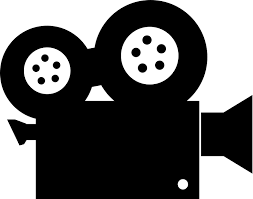 Film Making Summer Camps. From start to finish, create you own digital movie. We have classes in digital film production, and stop-motion digital animation, using Kid-Friendly software. Learn to film, edit, and add finishing touches to your digital story. 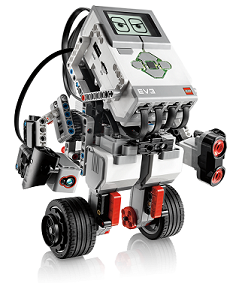 We have preschool Programmable Floor Robots, to advanced Lego Minstorms EV3 and Vex Robotics Systems, that use IR, Touch, and Light Sensors. Battle your bots in our Battlebots camps, or race our RC Spybots, and navigate through obstacle courses. Learn to build a robot that navigates itself! Not just a game, but also a learning Tool and Platform . Take your child's enthusiasm, and inspire them to make creative stop-motion movies, turn vitual worlds into 3D Lego Structure. Advance their gaming skills, by using command line blocks, learning to apply advanced game enchancing mods. Or even learn modify the worlds with Java coding. One of fasting growning fields in the world. Our Engineering Camps inspire students to think outside of the box, and come up creative solutions in a team environment. We teach basic engineering concepts, while making it fun. Learning through play! Tech Academy has been enriching children with Technology and Science Classes and Summer Days Camps for over 20 years! See our Minnesota STEM Summer 2019 Camp offerings. Project-based technology education classes where students work together in small groups to reinforce core academic skills while learning invaluable 21st century competencies. We offer afterschool science and technology classes and summer camps in Minecraft, Java, Minecraft Mod Development, Robotics, 3D Video Game Design, Solar Engineering, Animation, Clay Animation, Digital Film Making, Digital Video Production, Legos, NXT, EV3, Mindstorms, Rollercoaster Building, Knexs, Computers and much more! Our technology and science themed summer camps throughout the Twin Cities and Minnesota are offered through local Community Education Programs, Parks & Recreations, Community Centers and Schools.